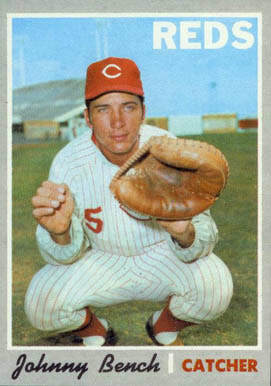 2The first set of topps baseball I collected was the 1970 set. I was a catcher in little league that year, so naturally would like 9 of all the catchers from that year. 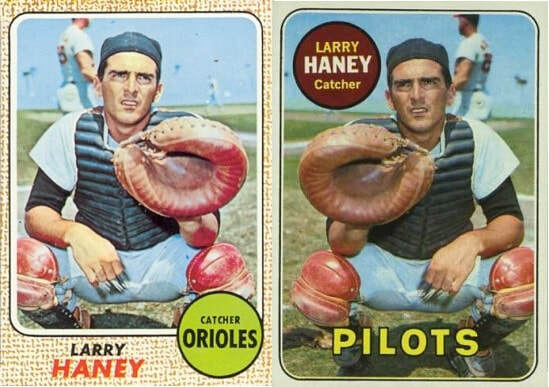 I would only want the "catchers" depicted with the big mitt in their card, like Bench's *. I still have my original catchers mitt, my father got me back then and it looks just like the pro's used. Any condition would be very much appreciated. let me know what you may have & Thanks in advance. How about these variations below? I would be interested in any condition of quantities listed. Thanks!